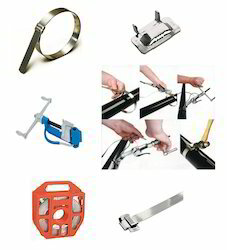 BAND-IT Stainless Steel Clamping System and Cable Ties. Stainless Steel Strap Bands fabricated to provide fastening function, with full round edge on both sides. 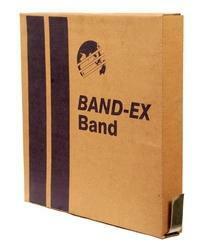 We are engaged in manufacturing products such as stainless steel straps and bukles. We are engaged in providing our clients Stainless Steel Strapping that are designed in complete adherence with the industry set guidelines, these strapping are available in different specifications to meet the variegated demands of customers. These are known for high tensile strength and excellent shock resistance. We offer them at the most economical rates.